3514 N. Port Washington Ave. Photo from City of Milwaukee. A new art gallery and studio space will open near the north end of N. Dr. Martin Luther King Jr. Dr. near the city’s Five Corners area. 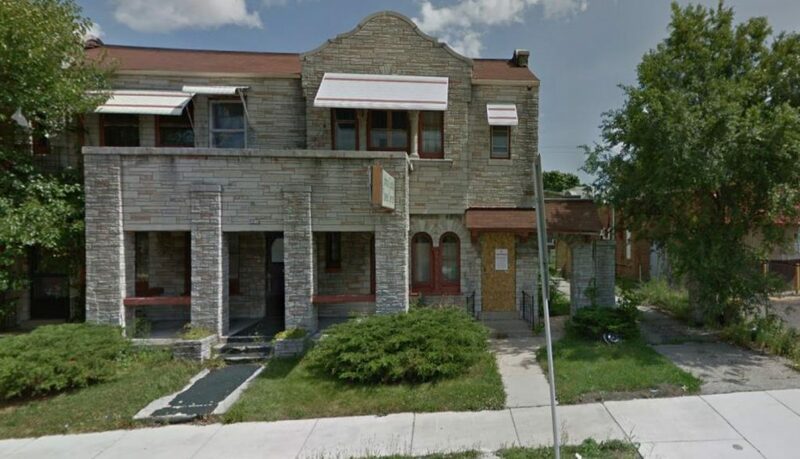 Artist and developer Fatima Laster will convert the former funeral home at 3514 W. Port Washington Ave. into gallery space and artist studios with two apartments above. 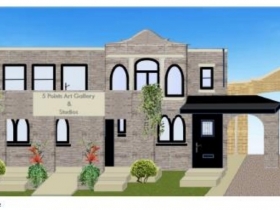 The gallery will be known as 5 Points Gallery and Studios. “I’m actually from the area I’m looking to reinvest in and make my home,” Laster told the city’s Zoning, Neighborhoods & Development Committee. She intends to live in one of the apartments and lease the other out. Laster has a unique skill set to make the project feasible. She’s a painter, but also works at Jordan’s Construction Services. JCS will partner with JCP Construction on the project’s general contracting. 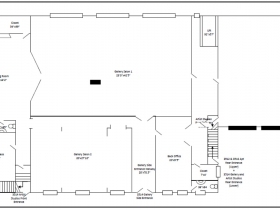 She intends to lease the lower level out to seven different artists, with the first floor holding large gallery spaces. 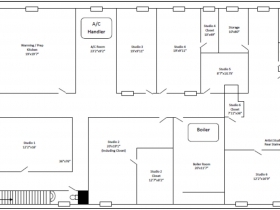 The first floor will include a shared kitchen to facilitate hosting gallery night events. To facilitate the development, the city will sell the 9,660 square-foot building for $1. The city acquired the building through property tax foreclosure in 2016. The project is slated to be the second funded with a $25,000 forgivable loan through the city’s Art and Resource Community Hub program. The first house to go through the program, designed to turn foreclosed homes into artist havens, is expected to open this spring. Department of City Development staffer Rhonda Manuel says up to four other proposals for the program are being considered. “It’s kind of ironic that the two are being done in my district. It’s not what I envisioned originally,” said Alderwoman Milele A. Coggs. She said Laster shopped around for a site and it turned out that the former funeral home was a great fit. The entire project has an estimated cost of $300,000. Laster is still raising additional financing. The project also has the endorsement of the King Drive Business Improvement District’s executive director Deshea Agee. He told the committee “I know that from walking through city buildings sometimes you see that don’t look great, but there are visionaries like Fatima that walk through buildings and say ‘this is what I think is possible. '” Agee looks forward to Laster expanding art events on the south end of Dr. Martin Luther King Jr. Dr. to the north. The committee unanimously endorsed the land sale. 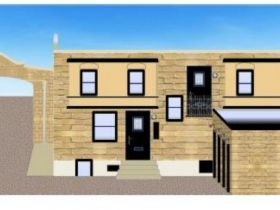 Did an elementary schooler in a collage class make these renderings? Title should be updated to say Williamsburg Heights or 5 Points….. This is great for the neighborhood.